The $800 JVC XL-Z1050TN 1050 is the Bitstream successor to JVC's popular 18-bit XL-Z1010, which got an enthusiastic thumbs-up from Robert Harley in April 1990 (Vol.13 No.4). Its styling is, in my opinion, much improved over the older player's, with the distinctive brushed-bronze finish of the rest of JVC's XL-Z line. The rear panel sports fixed and variable outputs (footnote 1), as well as Toslink optical and coaxial digital outputs. As with the 1010, the JVC features their proprietary K2 Interface, a circuit that reduces jitter by resampling the pulses with a short-duration gate just ahead of the single-bit JVC JCE-4501 DAC chip. On the mantel sat a stuffed Culo snake from Nuevo Laredo, with a red rubber tongue in freeze-frame flick. Above the bookcase hung the mounted head of a wild poi dog, killed in self-defense in Sri Lanka with only a Phillips-head screwdriver. A table-lamp made from a shellac'd, puffed-up frog wearing a sombrero and playing the contrabassoon bathed the room in a soft cream glow. I should begin this review by confessing that I've never been a fan of subwoofers. Most subwoofer systems I've heard have been plagued by a familiar litany of sonic horrors: poor integration between subwoofer and main speakers, boom, bloat, tubbiness, slowness, excessive LF output, and an overall presentation that constantly reminds the listener he is hearing a big cone moving. To me, subwoofers often sound detached from the music, providing an accompanying thump that bears little relationship to the sound from the main speakers. Rather than revealing the music's harmonic underpinnings, subwoofers often obscure them in a thick morass of featureless boom. 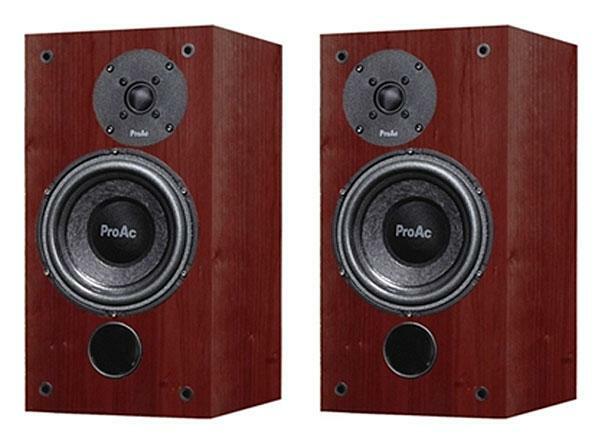 In addition, adding a subwoofer often destroys the qualities of the main speakers that made you buy them in the first placejust to name a few of my observations (footnote 1).